October is the official start of fall. For most of us, it is a welcome change from the dog-days of summer. October is also breast cancer awareness month. This is the time of year when we are reminded that breast cancer continues to be one of the most frequently diagnosed cancers in women. I have a personal connection with October because I am a two-time breast cancer survivor. I hope that you find this post both informative and inspirational. The Words No One Wants To Hear – Breast Cancer. In just one moment; a few spoken words can change a woman’s life forever. When confronted with breast cancer, women are often overwhelmed with fear and uncertainty. After receiving the devastating news, there seems so little time to learn so much about the disease, the prognosis and available treatment options. Even with the support of family, friends and a dedicated medical team, there is still a feeling of aloneness. It’s a feeling of living in a vacuum; everyone around you is going on with their daily routine and it seems your life is crumbling. Yes people say they care, and I’m sure they do; but only a woman who has experienced hearing those dreaded words, knows the anguish that goes along with them. Nothing can prepare you for the emotional roller-coaster ride that follows. In the days, weeks and months after the diagnosis of breast cancer, a woman faces the harsh reality of the hand that life has dealt her. Fortunately, today there is a wealth of information available to women plus the latest in technology and research and support groups ready to help them every step of the way. Still, many women do not receive the imaging they need to diagnose the cancer at an early stage and the treatment necessary to survive. My Story – I was first diagnosed with breast cancer at age 31. At that time, there weren’t many treatment options available; but with the help of a kind and understanding physician, I chose surgery as my method of treatment. Yes it seemed like a radical option, but I trusted my doctors wisdom and never regretted the decision. The years that followed were not easy. After 16 years of annual regimens of tests, scans, biopsies and the uncertainties that go with them, I once again heard those “dreaded words”. Fortunately during those 16 years, technology had advanced by leaps and bounds. This time I had many more choices in successful treatments. This time I was able to research my options and work with my doctors to make an educated decision based on what was best for me. The knowledge I attained did not however, diminish the overwhelming anxiety; it may actually have been greater the second time around. How lucky I am that both of my occurrences were caught at an early stage, thus promising me an optimistic prognosis. 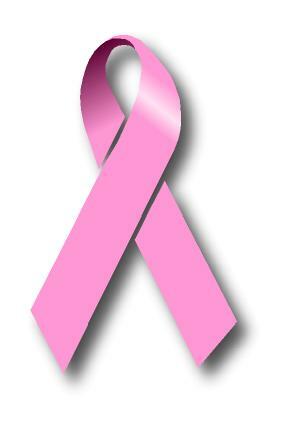 I proudly wear the pink ribbon as a survivor; proud to say that it has been eleven years since my last diagnosis. I attribute this to early detection; advancements in technology; a dedicated medical team; the loving support of my family and friends; and foremost, the grace of God. My Thoughts On The Future– Life does not end after a diagnosis of breast cancer; in fact, most women gain a new appreciation for life’s smallest pleasures. Every woman, regardless of her treatment options, is left with a physical reminder of her battle. Not a day passes without thinking about how precious life is and how lucky she is to have survived. I have met many women who have dealt with breast cancer. There is an unspoken sisterhood among us. I suppose it is because of the common bond we share. It saddens me to think that, even with advancements in technology and research, there are still women losing their battle with this disease because they lack access to screening, education and awareness. I am living proof that early detection is key to survival. Almost everyone knows someone affected by breast cancer. It doesn’t matter if a woman is rich, poor, young, old, famous or not; the disease shows no discrimination. Susan G. Komen for the Cure® is probably the world’s leading advocacy group devoted to the fight against breast cancer. Following is an excerpt from their website. More early detection – nearly 75 percent of women over 40 years old now receive regular mammograms, the single most effective tool for detecting breast cancer early (in 1982, less than 30 percent received a clinical exam). More hope – the five-year survival rate for breast cancer, when caught early before it spreads beyond the breast, is now 98 percent (compared to 74 percent in 1982). More research – the federal government now devotes more than $900 million each year to breast cancer research, treatment and prevention (compared to $30 million in 1982). More survivors – America’s 2.5 million breast cancers survivors, the largest group of cancer survivors in the U.S., are a living testament to the power of society and science to save lives.